Audiologist Tanya Goromonzi with her first customer Ann Dykstra. TWO Specsavers stores in City of Canning will be the first in Perth to also offer an audiology service to check people’s hearing and provide affordable hearing aids. The service was officially launched yesterday. Audiologist and Wilson resident Tanya Goromonzi will work across the Riverton and Carousel stores. Originally from Zimbabwe, Ms Goromonzi discovered a passion for helping people with hearing difficulties. “I was inspired to pursue audiology by an ENT surgeon I met through my godfather in Zimbabwe during a trip there,” Ms Goromonzi said. “While completing my studies, including a Neuroscience postgraduate degree and a Master of Science in Clinical Audiology, I spent time helping at clinics in Zimbabwe and South Africa. “I chose to become an audiologist to help restore quality of life in individuals with hearing impairment. She said it takes most Australians seven to 10 years to acknowledge they have hearing loss before they do anything to help it. “During these years, I have personally seen so many cases where hearing loss affects a person’s confidence and independence,” she said. 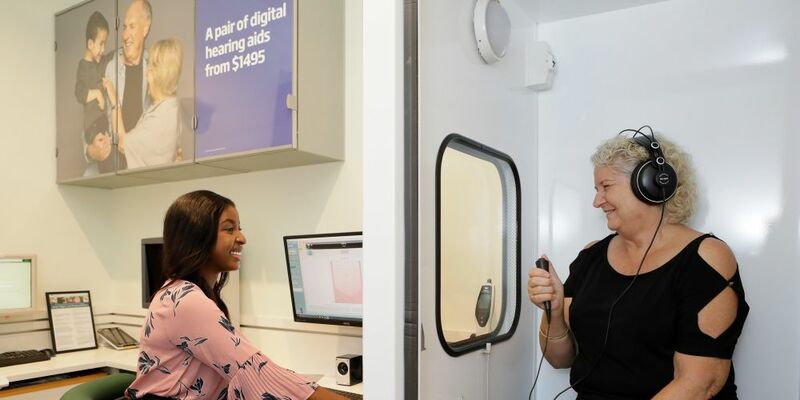 Specsavers’ Audiology executive director Darrel Magna said the new offering was giving Australians a more accessible solution to hearing loss by providing the clear, low prices and expert service. It is accredited as a qualified hearing service provider by the Australian Government Hearing Services Program, which provides eligible people with access to hearing services such as hearing assessments, subsidised hearing aids and aftercare services. Fifteen-minute hearing checks are free, and comprehensive tests will be available for $49. To book a hearing test, visit www.specsavers.com.au/hearing or call the Riverton store on 9259 4053 or the Carousel store on 9451 6880.